CLICK HERE TO BOOK HOWIE FOR YOUR EVENT! The honey badger known as the most fearless animal on earth represents the character and will of a Roughnecks player on the floor and the heart of a Roughnecks player off the floor with a fun-loving, friendly demeanor for fans young and old. 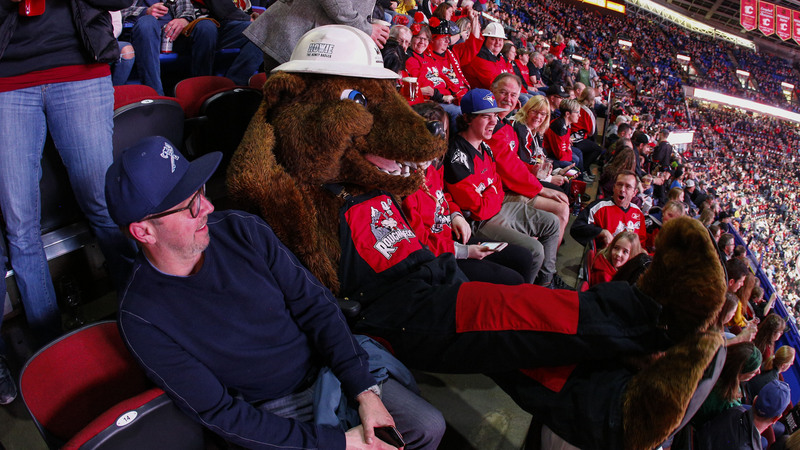 Howie the Honey Badger will make numerous appearances throughout the Calgary community including visits to the Alberta Children’s Hospital, elementary schools and corporate functions to name a few.